Many people are familiar with microorganisms (microbes) or bacteria, as they are also known. Microbes are found throughout the world, in soil, on water, plants, animals, rocks, and people. After death, all living organisms decompose to their base elements of water, carbon, nitrogen, phosphate, and trace elements. This process is called bioremediation or mineralization. It takes approximately one million bacteria to recycle the 6 million organic molecules that make up life. It is difficult to describe a simple yet complex form of life like the microbes. They are so small that a powerful microscope is required to view them. It took the development of the microscope before man learned that microbes were the chemical agents of decay, fermentation, and disease. 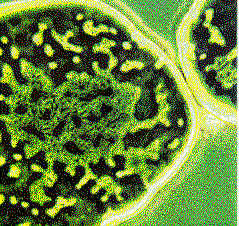 Microbes are the earth's primitive single celled organisms. Their basic role is to recycle the components of living organisms, converting them to the nutrient chemicals used by plants in photosynthesis and chemosynthesis. The bacteria, which may be motile or non motile, have three basic shapes: round (coccus), rod (bacillus), and spiral (spirillum). George Nervik Their average size is one micron, a 10,000th of a centimeter or 25,000ths of an inch. More than 27,000 species of bateria have been identified. Size makes the microbe the smallest living unit that can contain the necessary complex chemicals for life processes and the necessary enzymes for their role in recycling complex organic matter. These small cells also have a large surface to volume ratio allowing for a maximum cell wall activity and interchange of materials in/out of the cells. In this way, nature fabricated the total microbe population for maximum activity in recycling of all natural organic matter.